What a stunning book! 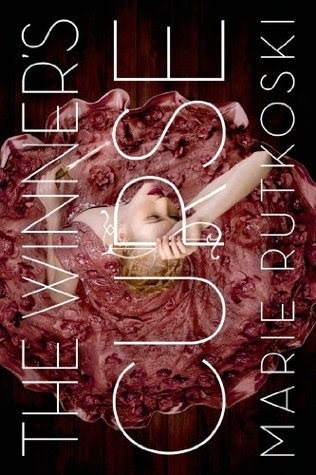 The Winner's Curse is a beautifully written with two great protagonists and terrific supporting characters, it's another book that I'm glad I read because it helps straighten out some ideas I have in my own writing. It also will not get the kudos it deserves for being a spectacular fantasy book. I think it suffers (and I hate using that word) from "girl in the frilly, pink dress on the cover but that's your problem if your a guy and it bother's you syndrome." The world building is brilliant, actually some of the soundest world building I've seen in YA fantasy in a while. Rutkoski dishes it out in palatable portions that are natural parts of the narrative and never feel like info dumps. Not only that, it's smart and not overdone. Think of the Roman Empire jumped up to the Age of Sail with little in the way of personal firearms and it doesn't feel cobbled together the way some authors tend to create worlds like that. The cultures are well thought out and take just enough from what is familiar while mixing it with her own twists. The games, the traditions, the culture...they all seem very natural and completely believable. A story doesn't exist without characters and our two protagonists are well rounded. Kestrel is just right as the aloof general's daughter. Rutkoski balances her well enough. She's capable but chooses not to act so (a theme I play with all the time). And when she's forced into bad situations, she makes the right decisions, no matter how much they hurt. Her relationships with the people around her and the characters that are developed work well. Arin is the conflicted bad boy. If you've read other reviews or blog posts, you know that I love tropes and believe in them. Rutkoski knows how to play with this trope and makes it work. It's a hard one to play with because we've seen it time and time again, but she does it well. I would've liked a little more depth from the Herrani other than Cheat, since he seems to represent all that is wrong with the Herrani, but maybe that'll play out in Book 2. The plot is sharp and moves along at just the right speed. It is its own story with just the right number of hints to the bigger picture of the series as a whole. Political and courtly maneuvering in a colonial setting is right in my wheelhouse. I'm looking forward to seeing how the new arrangements in both the imperial capital and the city in Herran. I really enjoyed this one myself! But to be honest, I love the cover and it is the guy's problem if he can't get over the fact the book has a girl in a frilly pink dress on the cover.